Have the dip, but skip the chips. An average serving of either tortilla or potato chips has 150 calories! There are 34 servings in an average sized bag! WOW! Instead, try thinly sliced veggie sticks. 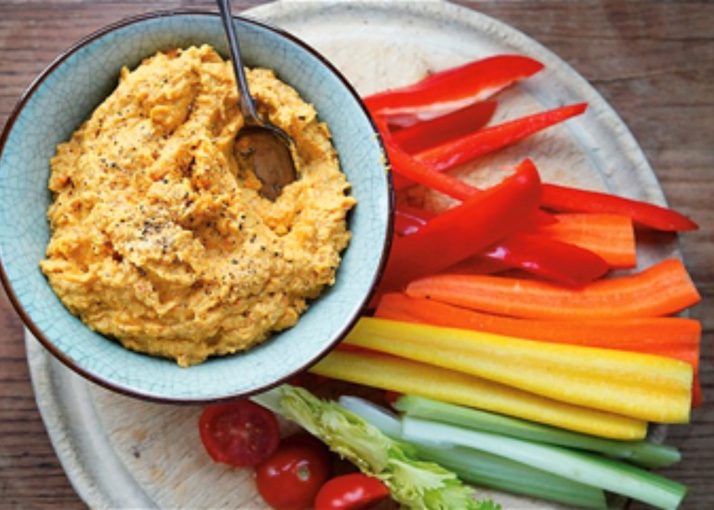 Apple slices, carrots, peppers (red, yellow, orange or green) cucumbers, cauliflower and celery cut into small sticks are great dippers with less calories and salt than chips. Black Bean Dip: Combine 1 19-ounce can of rinsed black beans with ½ cup salsa (hot or mild) 2 tablespoons fresh lime juice, 2 tablespoons chopped fresh cilantro, ¼ teaspoon ground cumin and salt & pepper to taste. Spicy Avocado Dip: 4 medium tomatillos, husked and quartered, 1 avocado, pitted and peeled, 1 chopped jalapeño pepper, 1/2 cup fresh cilantro, ¼ onion, chopped & 2 tablespoons lime juice. Season with salt and pepper. Cut 4 whole grain tortillas into triangles, spritz with olive oil, sprinkle with salt, bake for 10-15 minutes until crispy. Let cool. Relax and enjoy the game (and the commercials)! •Put oil and popcorn kernels in a large pot with a tight fitting lid. Turn on the heat to medium. 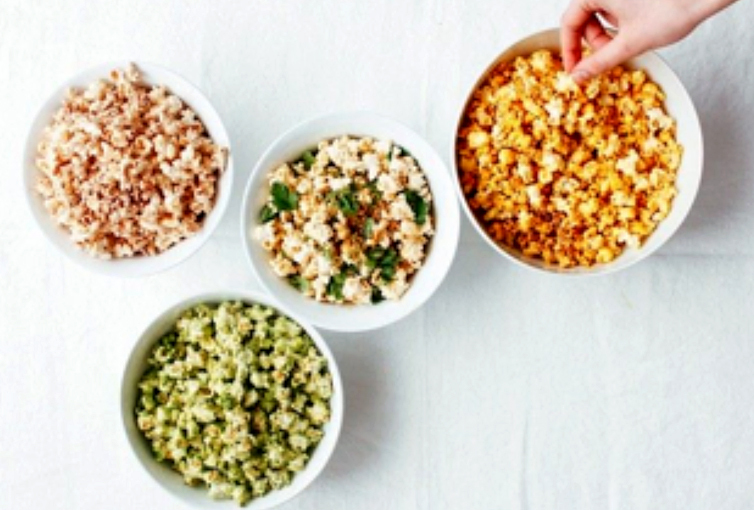 •Storing popcorn for freshness: Just keep out moisture. Use dry herbs and seasonings for flavoring. Store in a dry, tight-seal container. It will last for several days.